January also means it's election time in Browne's Addition. Your Neighborhood Council will be holding the January General General meeting and elections for the Executive Committee, this Wednesday evening, January 6 at 6:30 pm. 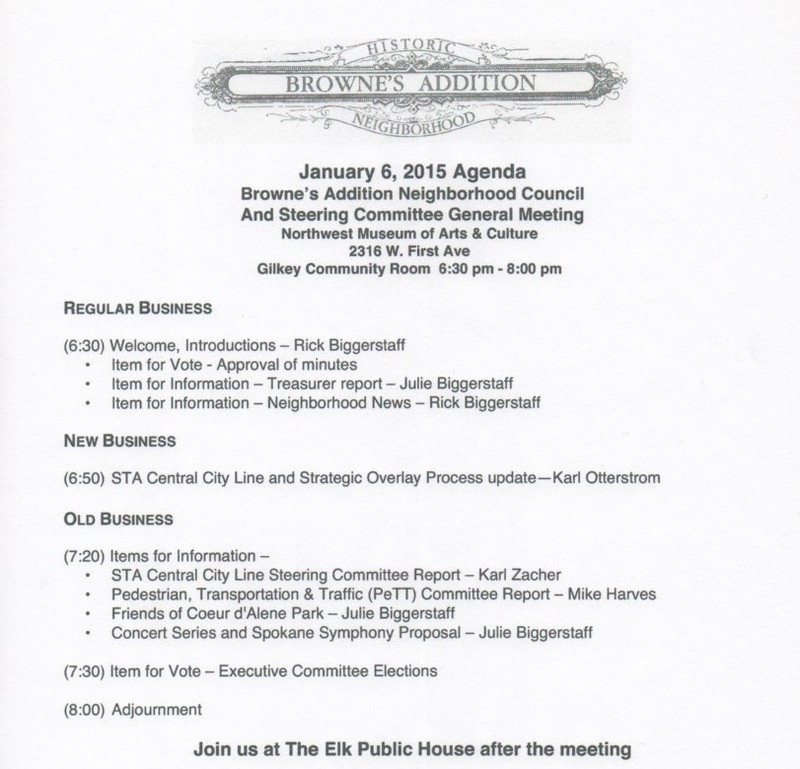 Our January General Meeting will be held at the Northwest Museum of Arts and Culture. Chairperson, Vice-Chairperson, Secretary, Treasurer, Communications Officer, and Member at Large. We especially need a Secretary, as Mary Lou will be leaving us, but of the other positions have an incumbent willing to stay. You can run for the position that you feel best suited for, and win that seat in an election.